Welcome to Dean Dolan’s Downloads, an occasional blog about matters of interest to the campus student community. 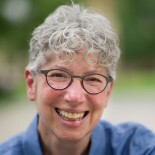 As a new dean (I began my work in July 2015), I’m eager to think with students, faculty, and staff about issues that concern us all, from how we orient first-year students to our campus, to how we encourage research experiences for sophomores in preparation for junior and senior independent work, to how we create a campus that’s inclusive to all students, regardless of race, gender, religion, or any other identity category. In other words, I hope to use this space to address both daily concerns and the more philosophical issues that affect us all. My colleagues and I in The Office of the Dean of the College (affectionately known as “ODOC”) are responsible for delivering the undergraduate curriculum. If you click through our web site, you’ll see the range of activities we manage. Just a few include the McGraw Center for Teaching and Learning; the Office of Undergraduate Research; the Office of International Programs (which includes study abroad and international fellowships and internships); the residential colleges in which our students all live and learn; Teacher Prep; the Community-Based Learning Initiative; the Writing Program; the Freshman Scholars Institute; Freshman Seminars; Admissions; Financial Aid; and the Registrar. And that’s just the tip of the iceberg, as they say. In other words, my colleagues and I touch your lives on a daily basis, and we care about everything you do here on campus. I hope you’ll dip into my downloads on occasion to see what I’m thinking about. And I especially hope that you’ll respond with thoughts of your own. You’re also welcome to schedule time in my office hours to come talk to me in my office on the fourth floor of West College. I’d be happy to see you here or to come to your events, panels, meetings, and residential colleges to hear your thoughts.